Happy December 1st! Are you ready for Christmas? I was hoping to have my tree up last weekend. Just goes to show that even with the best intentions of planning, it doesn’t always turn out like we plan. I do have my Christmas items dug out from storage and I will be attempting to have everything decorated and ready this weekend. Fingers crossed. 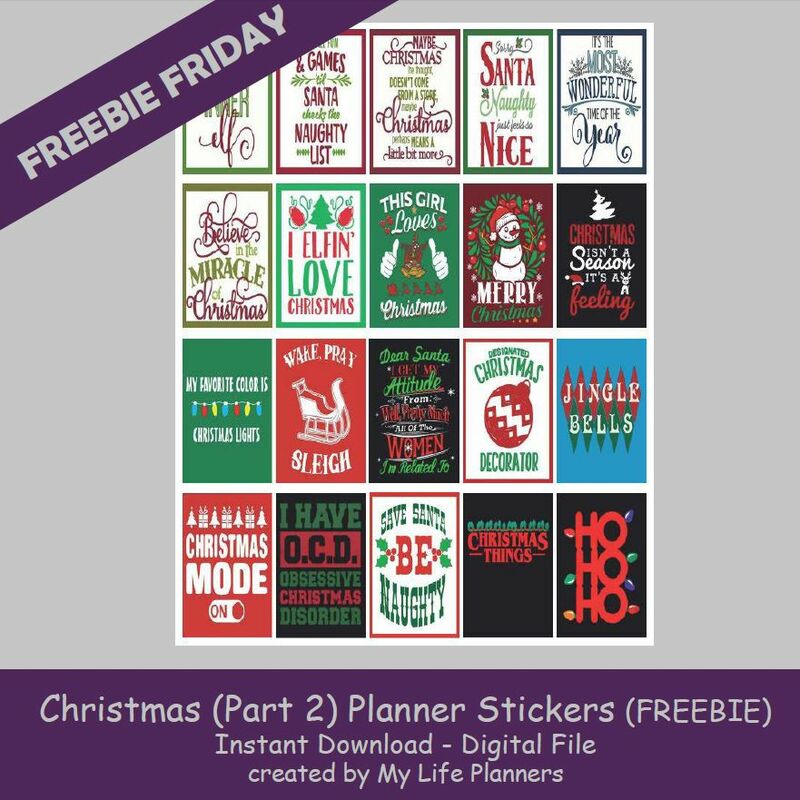 As stated in last week’s Freebie Friday this week’s feature is part two of the Christmas Theme. Note if you are looking for Hanukkah stickers they can be found with the Christmas 2016 Planner Stickers here.